Who is going to be the focal point of J.J. Abrams’ Star Wars: Episode VII? Some reports suggest a meaty role for Harrison Ford’s outlaw, Han Solo. Others think that the baton is getting passed to the younger generation… possibly the children of either Luke Skywalker, or Han and Leia. And now we’re hearing a new candidate for potential story "lead," and it’s none other than Attack the Block standout John Boyega. The actor’s name was highlighted on a bullet-point list of "things we believe to be true" published by Latino-Review pertaining to Star Wars: Episode VII. From what the site has confirmed (though anonymous sources), Boyega is the character who "has the story arc that brings him into Star Wars’ greater universe" in a narrative that "has echoes of Luke’s arc in A New Hope." 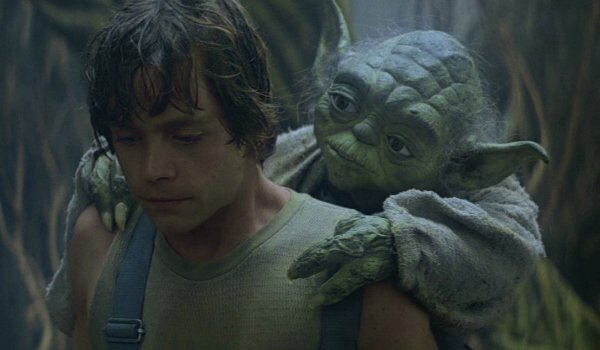 The site goes on to say that John Boyega’s character isn’t a Jedi OR a Padawan at the start of the movie, but that likely could change if Mark Hamill – as the older, wiser Luke – mentors this powerful man in the way that Yoda took Luke under his felt-puppet wing. The information about John Boyega isn’t the only update shared on the site. The moles at L-R believe that Star Wars: Episode VII is going to have a female villain, and they are pretty confident that she will be a Sith. Given the recent spate of female hirings on J.J. Abrams’ sequel, this means that 12 Years a Slave Oscar winner Lupita Nyong’o or Game of Thrones co-star Gwendoline Christie could be drifting to the Dark Side of The Force. The other points are political, and set the stage for the still-untitled Star Wars: Episode VII. Apparently, even though the story takes place 30 years after the events of Return of the Jedi, there is no New Republic in play in the storyline. And there was mention that the Boba Fett armor is "around," but there has been no confirmation as to whom might be wearing it. J.J. Abrams helped his case by hiring exquisite talents like John Boyega, Adam Driver, Oscar Isaac, Andy Serkis, Domhnall Gleeson and Max von Sydow to work alongside the original Star Wars cast members. Who will be the focal point? It matters… but it isn’t a deal breaker. I’m starting to get to the point where I am comfortable saying, "Trust in J.J." Mystery Box be damned.